Have you ever wondered what the can fit in a FROGBOX? Well we’re excited to have a video that shows you just that! Our FROGBOXES come in 2 sizes, small and large, and are designed to hold a 35-45 lbs of weight, which makes it easier to determine what should go in which box depending on what you’re packing. One of the many really great benefits of using FROGBOX is that our boxes are made of plastic so you never have to worry about items poking through or falling out. It also means we’re better able to pack a box so that things fit in seamlessly and consistently. 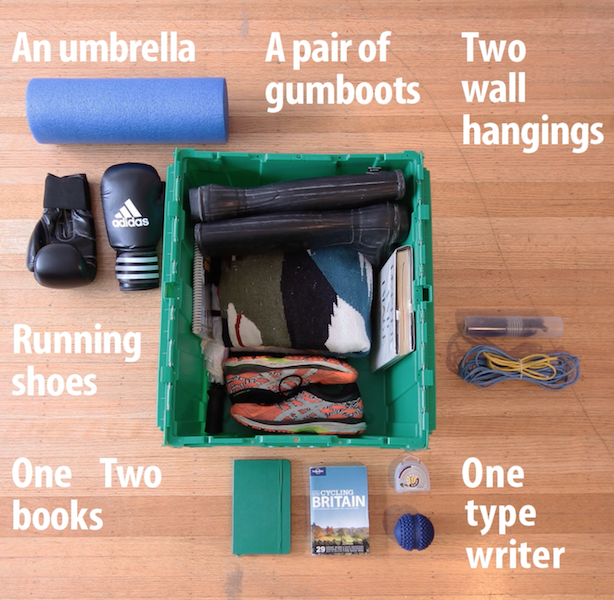 We’ve created this What Fits in a FROGBOX video to show you what could possibly go into your moving box and how you can make it all fit with items you possibly weren’t sure would go together! This allows you to pack with ease and focus on room by room without mixing and matching and having items in random boxes. Just another way FROGBOX to helping you move from one pad to another!